Minnesota’s primary seat belt law continues to save lives and reduce serious injuries more than four years after being passed, according to a study by researchers at the U of M’s Humphrey School of Public Affairs. The study examined Minnesota crash data collected from June 2009 (when the law was implemented) through June 2013 and compared it to expected data based on crash trends over time. Findings indicate that there were at least 132 fewer deaths, 434 fewer severe injuries, and 1,270 fewer moderate injuries than expected during this time. According to the researchers, the safety benefits of the law translate into a savings of at least $67 million in avoided hospital charges, including nearly $16 million in taxpayer dollars that would have paid for Medicare and Medicaid charges. The study was sponsored by the Minnesota Department of Public Safety and led by Humphrey School research fellow Frank Douma and Nebiyou Tilahun, a U of M graduate now on the faculty at the University of Illinois-Chicago. 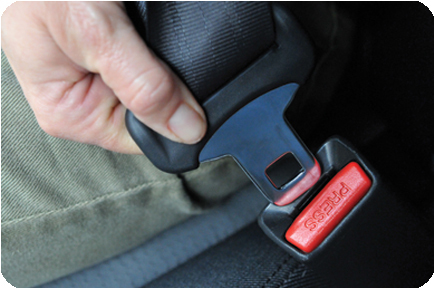 The researchers also examined seat belt use data and survey results that measured support for the law. Findings show that support increased from 62 percent just before the law was passed to more than 70 percent in 2013, while the percentage of Minnesotans buckling up was at an all-time high of nearly 95 percent in 2013. This shows that some people are wearing their seat belts even though they don’t support the law. When this increased seat belt use is combined with the reduction in fatalities and injuries, it further demonstrates that people are surviving—and even walking away from—crashes that may have had different results if the primary seat belt law had not been in effect. Read the full article in the June issue of CTS Catalyst.